Rarely does a theme seem to materialize for any given new model year of automobiles, although the class of 2019 appears to have one: a year of firsts. 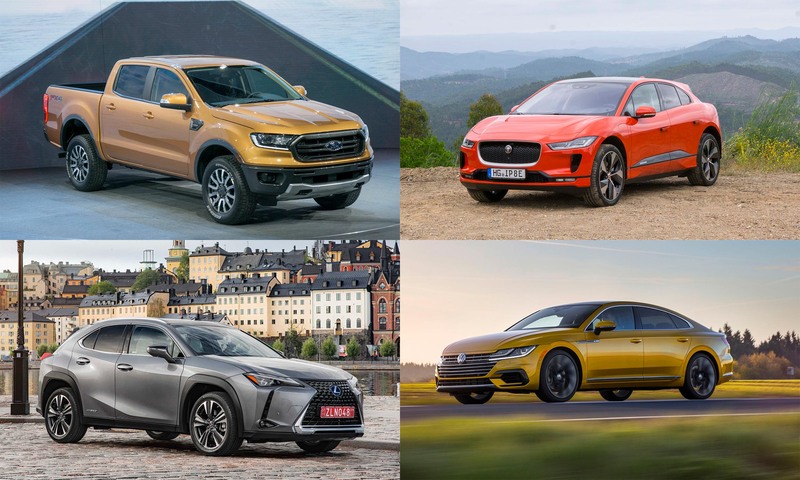 There are SUVs from manufacturers that have never released one before; three-row SUVs debuting in a segment that grows more competitive every year; and first-ever EVs from big names in the industry. 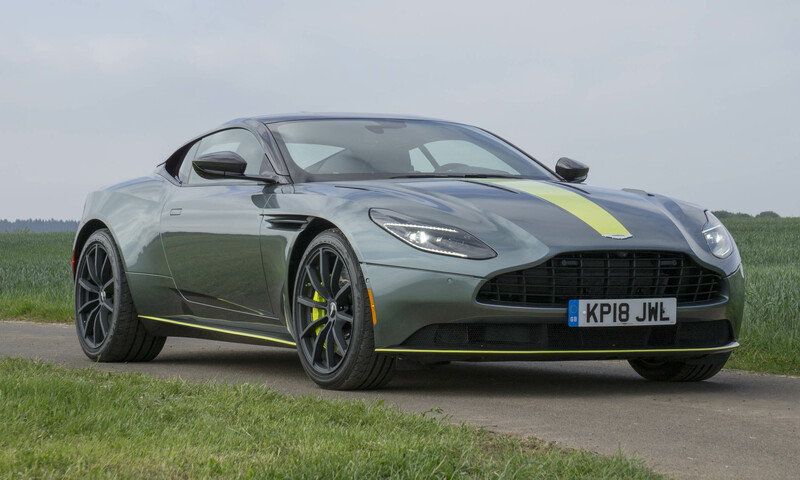 Beyond that, there are a number of brand-new vehicles and beloved names from the past returning in modern form. Let’s have a look at some of the greatest hits coming up in the 2019 model year. 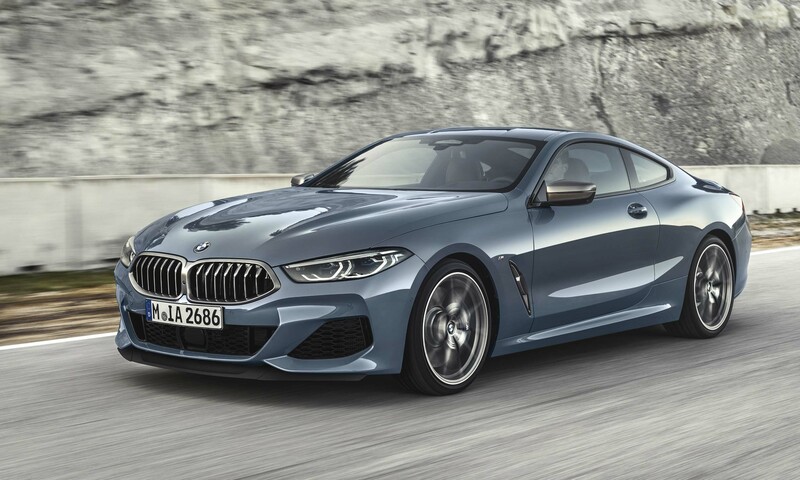 There’s a lot riding on any new model, but the resurrected 2019 BMW 8 Series not only bears the pressure of reviving BMW’s beloved grand touring series from the 1990s, it also carries great expectations as a return to form for BMW, which stands accused of an ever-softening driver focus through the past decade. 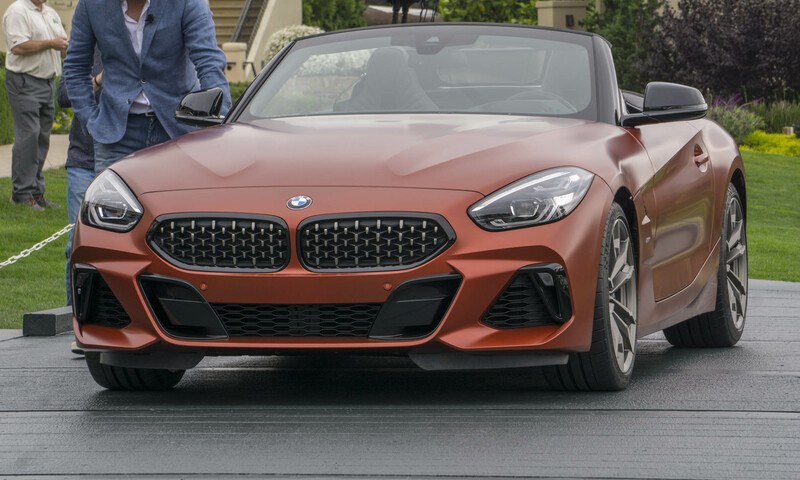 To that end, the M850i sports a twin-turbocharged 4.4-liter V8 powerplant cranking out 523 horsepower and 553 lb-ft of torque; BMW claims a zero-to-60 mph time of 3.6 seconds. An adaptive suspension, M-Sport differential, and electric steering that is said to bring back road feel gives many folks high hopes for the new 8 Series. 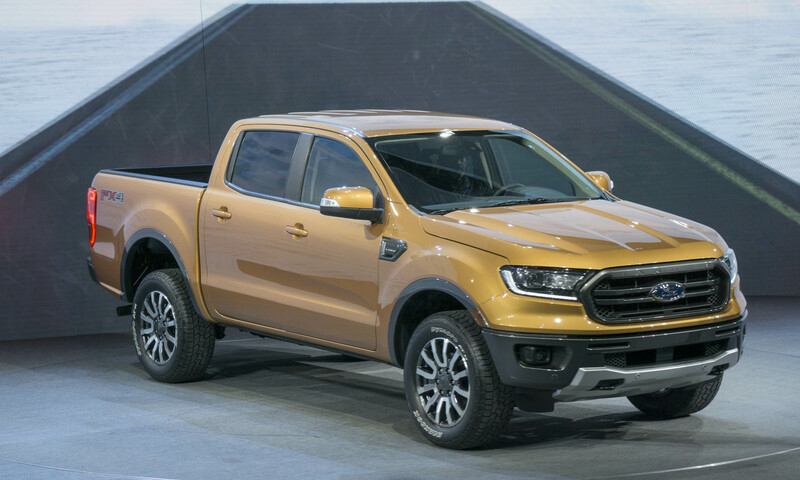 After taking a generation off from the American market starting in 2011, the Ford Ranger returns with a new 2019 model. The 2019 Ranger jumps directly into a rivalry with Chevrolet’s Colorado in a suddenly resurgent midsize pickup market. Ford’s 2.3-liter EcoBoost engine powers all variants, with three trim levels offering escalating comfort and convenience features. Those looking for an alternative to the Colorado’s beefed-up ZR2 will have to wait a bit longer — the Ranger Raptor is coming, although we don’t know exactly when that will be. Every few years a new Corolla gets released to continue anchoring Toyota’s lineup as one of the world’s best-selling automobiles. The 2019 Corolla features more safety systems than ever, and more convenience technology than ever as well, including a 7-inch touchscreen display. There’s an interesting wrinkle with the new Corolla, however — the Hatchback, which replaces the outgoing iM trim level. 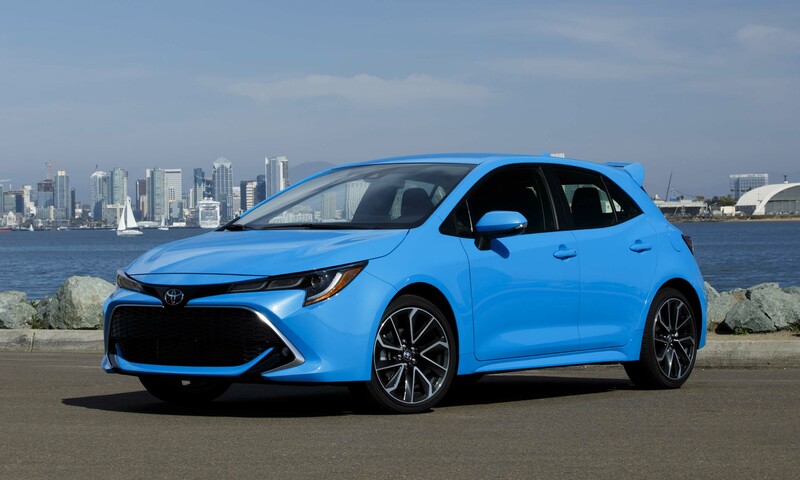 It’s no speed demon, but the 2019 Corolla Hatchback looks good, is affordable and is available with a 6-speed manual. All hail the new Medium Hatchback king? Nearly two decades after its first foray into SUVs with the X3, BMW is finally taking the plunge into the three-row market with the debut of the 2019 X7. The focus of the X7 is on design, from the infotainment touchscreens for the second row passengers to the swooping strands of light embedded in its ceiling, to its square-jawed (and yes, perhaps bunny-toothed) face. 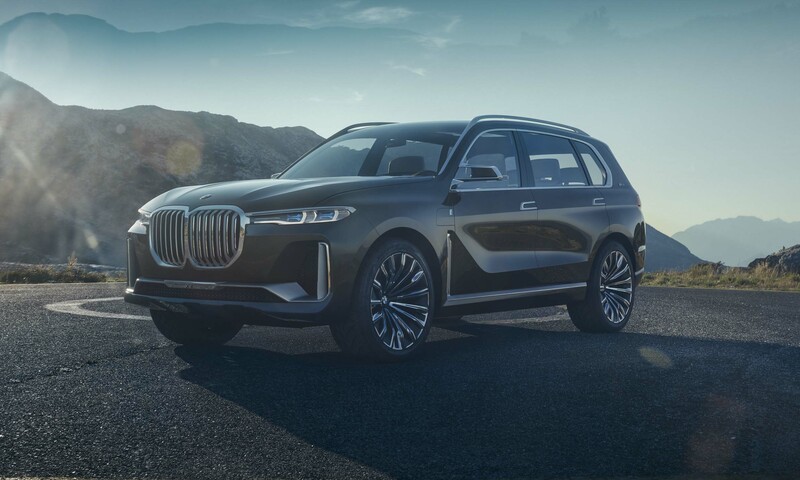 The X7 shows the full development of this generation of BMW SUVs, sharing bodylines and elements with the relatively small X3 and new 2019 X5; all three making use of BMW’s CLAR platform with the also-new 2019 X4. Usually a 4-door variant of a 2-door sports car draws groans of exasperation from enthusiasts, but the 2019 AMG GT 4-Door may be an exception. 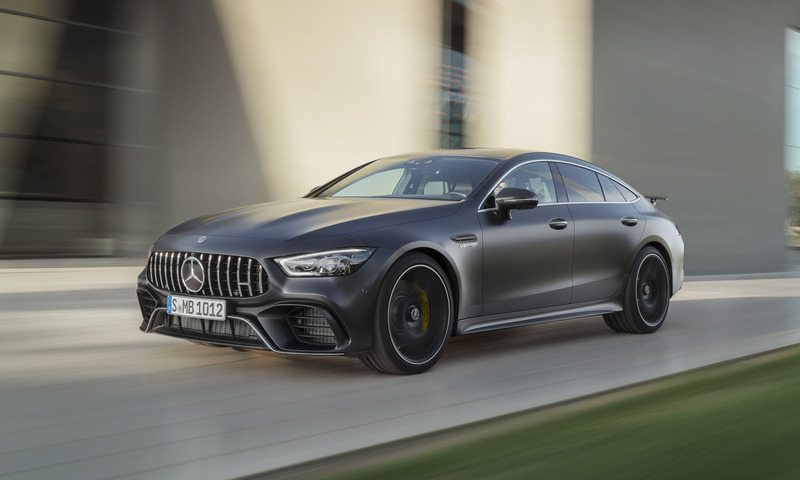 More than just a “stretched” version of the AMG GT, the 4-Door is a ground-up reimagining of the car, since it was intended to be a sedan in the first place, with all of the comfort and luxury expectations associated with high-end Mercedes sedans. 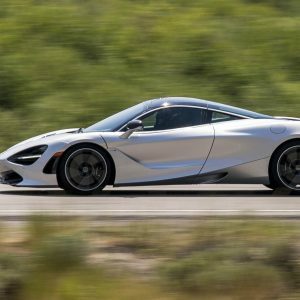 Engines include a 3.0-liter twin-turbocharged inline six and a pair of V8s, with the biggest one delivering 630 horsepower and a 3.1-second zero-to-60 mph time. After years in the making, the joint development project between Toyota and BMW bears fruit with the new Supra and Z4. While we still know relatively little about the Supra — even whether it will be a 2019 or 2020 model when it’s released — BMW has already shown the world the new Z4. 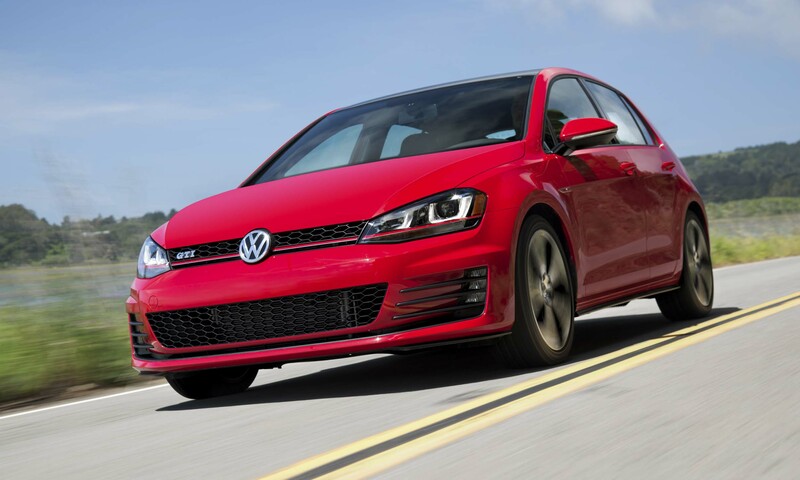 Engines are a turbocharged 2.0-liter inline four cylinder or a 3.0-liter turbocharged inline six, which in sDrive35is trim gets 7 seconds of overboost to push torque from 332 to 369 lb-ft. The stunning V90 may have officially “arrived” in America first — if you special-ordered one, that is — but with the 2019 V60, the Volvo wagon is back in a big way. 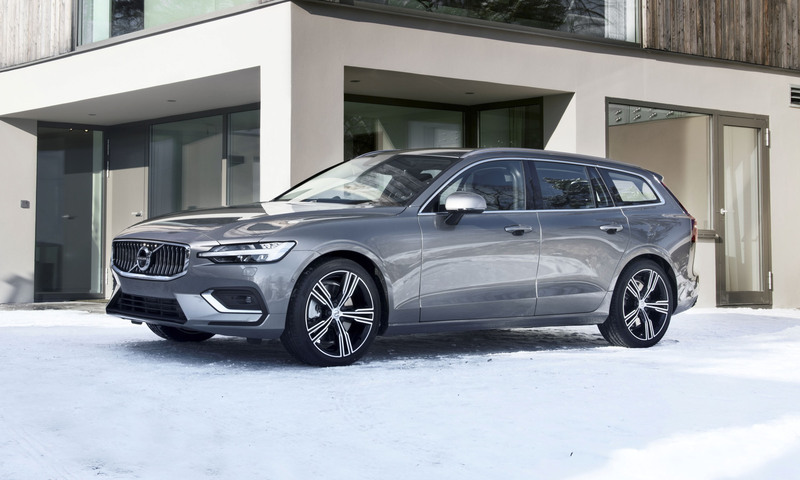 Taking more than a handful of design cues and Volvo’s Scalable Product Architecture from the V90, the V60 is aimed at the Volvo faithful and the “never SUVers” alike. Like the rest of this current Volvo generation, the V60 is attractive, thoughtfully designed, and appointed over its price point. As long as Volvo exists, the wagon lives. Not every new vehicle debuts with its own racing series, but not every vehicle is the first-ever all-electric Jaguar. The i-PACE arrives for the 2019 model year with a pair of motors generating 394 horsepower and 512 lb-ft of torque — available from a standing stop, of course, thanks to its powertrain — and is said to be capable of 4.5-second zero-to-60 mph runs. 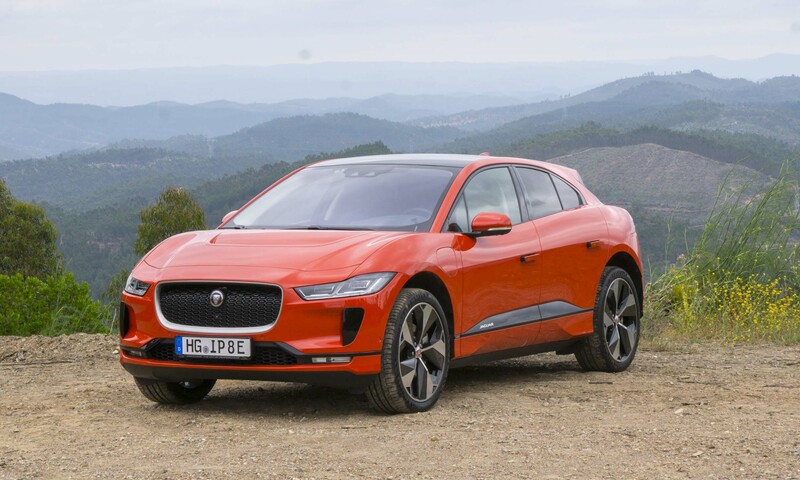 Combine that with the i-PACE’s 240-mile range and a low-slung CUV body style as interesting as it is practical, and the i-PACE is poised to take lunch money from vehicles across a variety of categories. 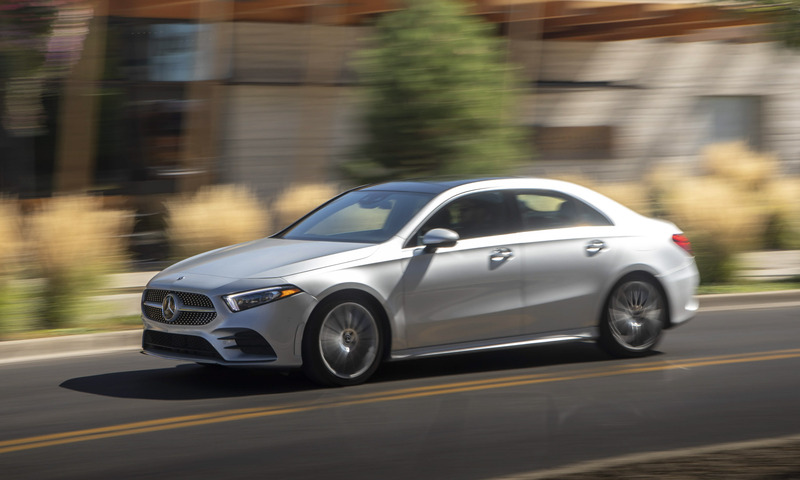 The 2019 Mercedes-Benz A-Class is the fourth generation of this entry-level model, but the first to be offered in the United States. It’s also the first A-Class sedan, which we’ll see in America as the A220. A turbocharged 2.0-liter inline four cylinder produces 188 horsepower and 221 lb-ft of torque; uninspiring perhaps, but the A220 is about affordable luxury rather than cheap speed. The 2019 A220 looks good outside, with an emphasis placed on aerodynamics, as well as inside, where a bevy of high-end materials and technologies are available. 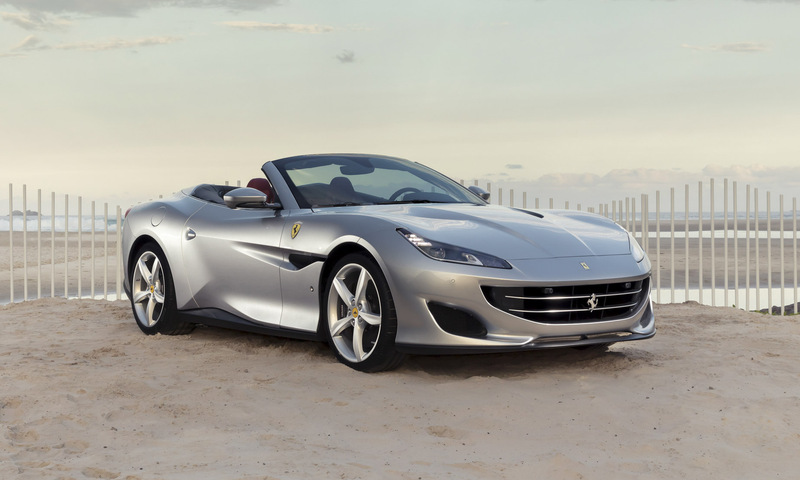 The 2019 Ferrari Portofino is here, replacing the California — the best-selling model in Ferrari’s history, like it or not. That means it’s time for prancing-horse purists to grumble over how it’s not a “real” Ferrari but a compromised “soft” sports car designed by marketing instead of engineers. All of that can be true and the Portofino can still be the “everyday” Ferrari, still be lighter and quicker than the outgoing California, and it can — and likely will — sell better than the rest of the product line, affording those purists the hard-charging Ferraris they love and expect. 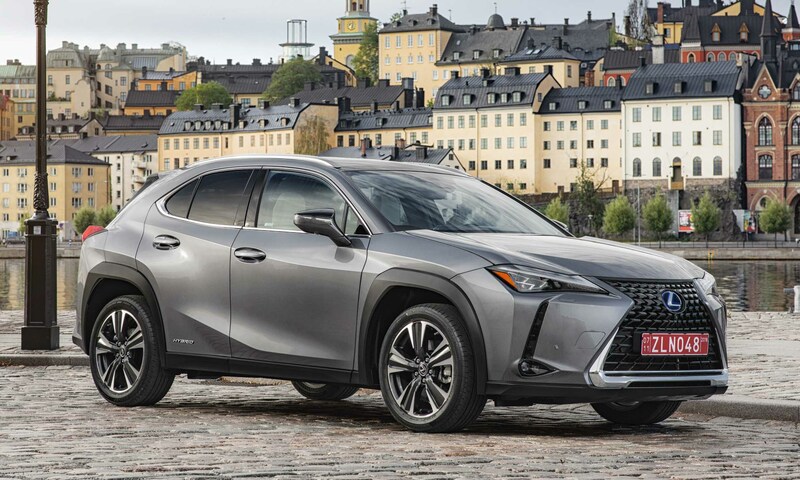 The 2019 Lexus UX dives headlong into an intensely competitive luxury CUV segment when it arrives in December. Built on Lexus’ GA-C platform, the UX is making a play for younger drivers as the first Lexus offered through a subscription service, with an emphasis on design, technology, and efficiency. 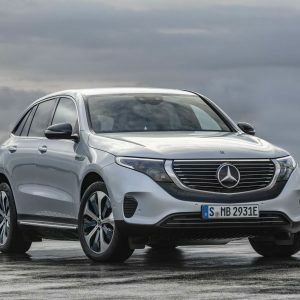 A 2.0-liter inline 4-cylinder engine will power a front-wheel drive version; an all-wheel drive variant will mate a hybrid system to an Atkinson Cycle version of the same 2.0-liter engine and is projected to return a combined 38 mpg. 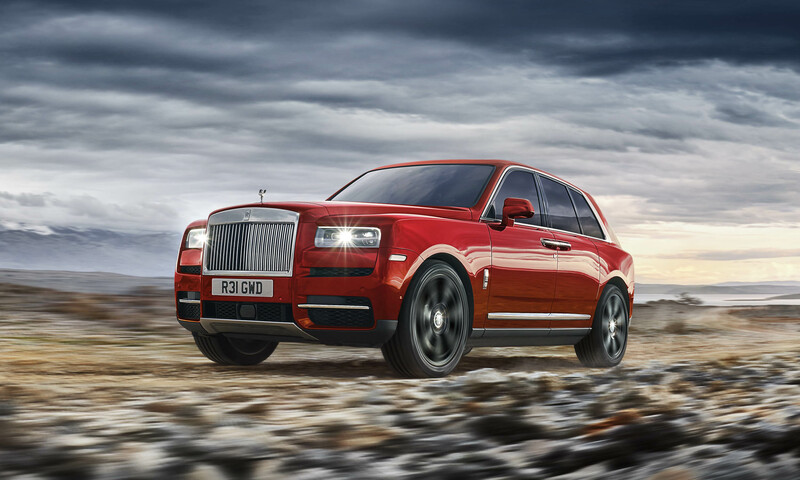 Joining the “I can’t believe they made an SUV” club is Rolls-Royce with the all-new 2019 Cullinan. 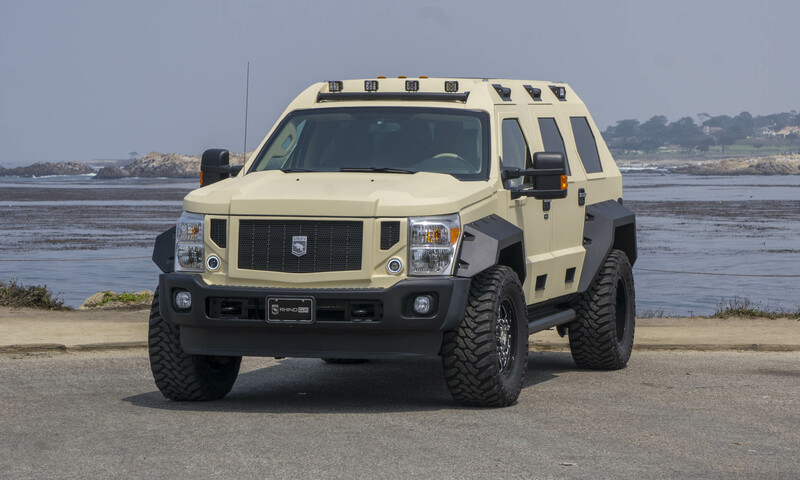 Naturally, it debuts as the most expensive SUV on the market, starting at $325,000. 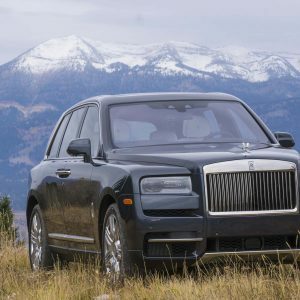 Sharing the “Architecture of Luxury” platform underpinning the new Phantom and any new Rolls-Royces going forward, the Cullinan is also the first all-wheel-drive Rolls, and is appointed with leather and wood throughout its spacious interior. Our favorite feature might be the “Viewing Suite.” A button push opens the rear hatch and a pair of seats with a cocktail table appear on the tailgate. You know, for when that comes up. 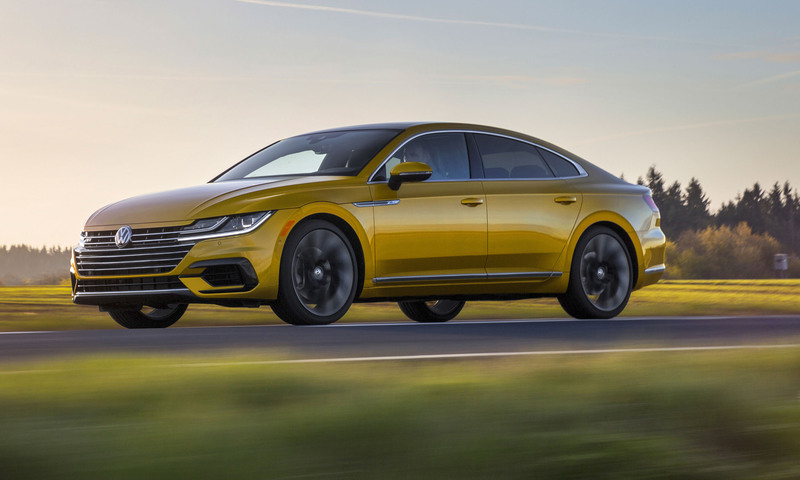 Volkswagen looks to draw eyes from higher-priced competitors with its new, range-topping 2019 Arteon. The Arteon’s fastback design and chiseled lines reflect its gran touring inspiration; part of VW’s aim is to meld the spirit of the classic touring vehicle with the comfort and convenience features of the modern sedan. That fastback also provides a large amount of trunk space compared to just about anything in its class. Factor in an emphasis on interior materials and design, and the Arteon comes across like a value for those with a little money to spend. 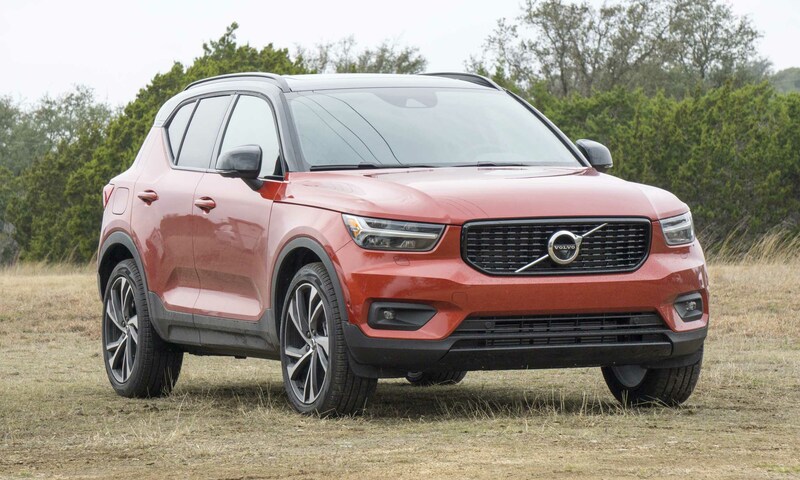 Volvo’s 2019 XC40 is a subcompact CUV designed from the inside out to draw the attention of younger buyers looking for something as stylish as it is practical. There’s plenty of passenger space throughout the interior, which features some high-end materials, and the bodylines feature a litany of dramatic cut-ins. Not only can it be had for around $40,000 well-appointed, the 2019 XC40 is also available through the Care by Volvo subscription service, which covers the use of the XC40, insurance, maintenance, and road-hazard protection all for a monthly fee — like a lease-plus. Some of the aggressive lines from the last-generation Silverado have been smoothed out for a sleeker look on the 2019 model. 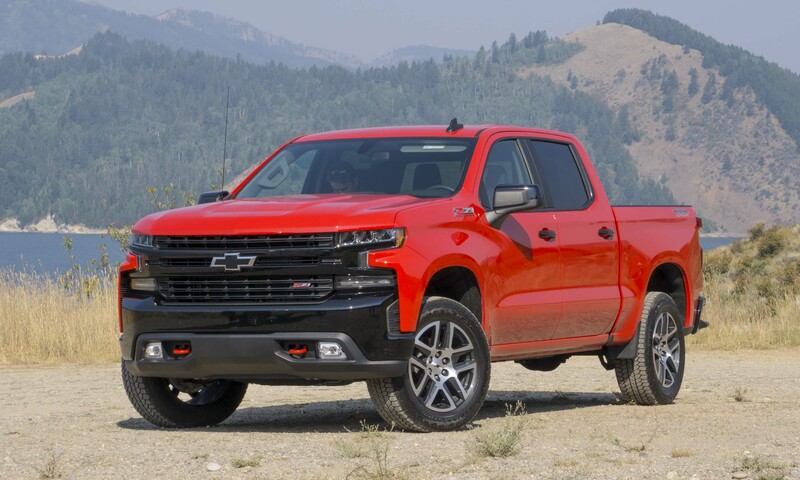 The biggest changes are the nearly 200–400 pounds of weight lost, and with Chevy’s new Dynamic Fuel Management system. Where the last-generation’s Active Fuel Management allowed its V8s to cut to four cylinders depending on driver input, DFM can go down to two cylinders to save fuel. Two V8 engines, a turbocharged inline four cylinder and a number of package combinations means nearly anyone can build the Silverado they need. As Subaru grows in the United States, so do its models. The 2019 Ascent sees Subaru looking to take a piece of the three-row SUV segment, combining seating for up to eight with the manufacturer’s reputation for safety and all-weather capability. There are a number of infotainment and safety systems for drivers, including Subaru’s EyeSight driver-assist technology as standard equipment — a first for Subaru. With nearly nine inches of ground clearance, towing capacity up to 5,000 pounds, and a price tag starting just north of $30,000, the 2019 Ascent stands to measure up favorably. The 2019 Lamborghini Urus tries as hard as it can inside and out to fit into Lamborghini’s design ethic with dramatic, swooping lines and angles throughout. The Urus’ twin-turbocharged 4.0-liter V8 engine (the first V8 in a Lamborghini since the Jalpa left the market in 1988) gives it 641 horsepower and 627 lb-ft of torque, propelling the Urus from zero to 60 mph in 3.6 seconds on its way to a top speed of 190 mph. 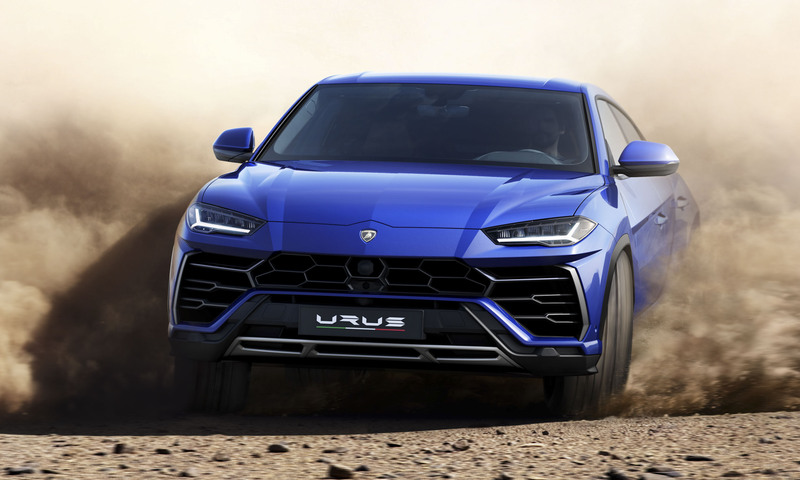 Permanent all-wheel drive and torque vectoring help rein in the power of the first “Super Sport Utility Vehicle,” as Lamborghini calls the Urus. Audi enters the all-electric market with the 2019 e-tron SUV. 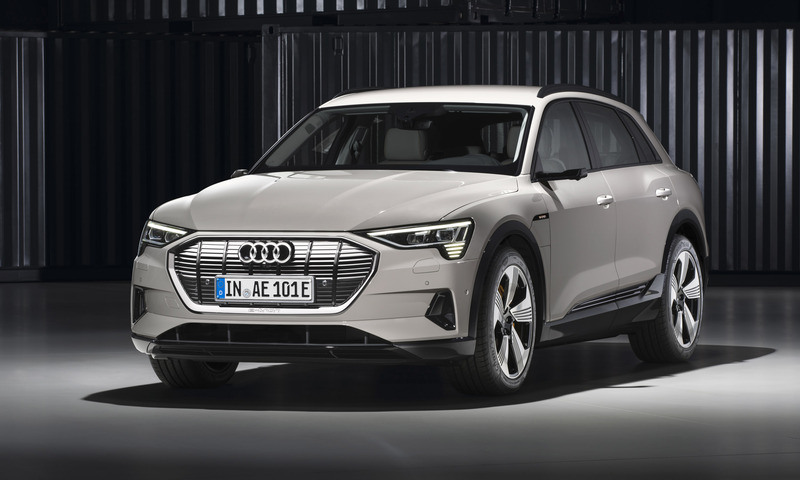 Its strong lines and stance suggest a performance focus, but the e-tron’s aerodynamic body and.30 drag coefficient are about extending its range rather than lowering its zero-to-60 mph time — which is still an impressive 5.5 seconds. Where Jaguar’s i-PACE touts its performance bona fides, Audi is presenting the e-tron as a luxury SUV with the all-weather capabilities of its quattro system, and a longer 166-mile range on 150kW DC charging. The 2019 Mazda3 won’t be unveiled until the Los Angeles Auto Show in November, but what we know so far is intriguing. The new 3 will feature Mazda’s 2.0-liter SKYACTIV-X engine with Spark Plug Controlled Compression Ignition, which Mazda is predicting will bring horsepower numbers up from the SKYACTIV-G in the current 3, while being as much as 30 percent more efficient. 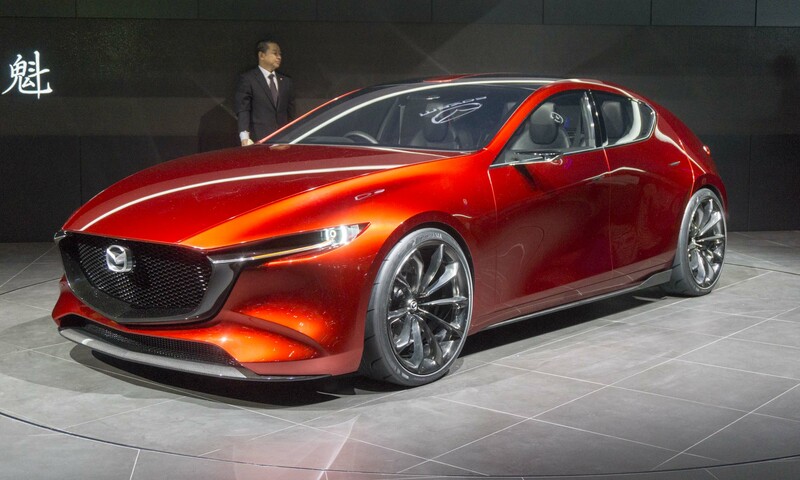 Mazda has also hinted that the 2019 Mazda3’s look will be heavily influenced by the Kai concept (pictured here) that has been wowing critics on the auto show circuit all year. 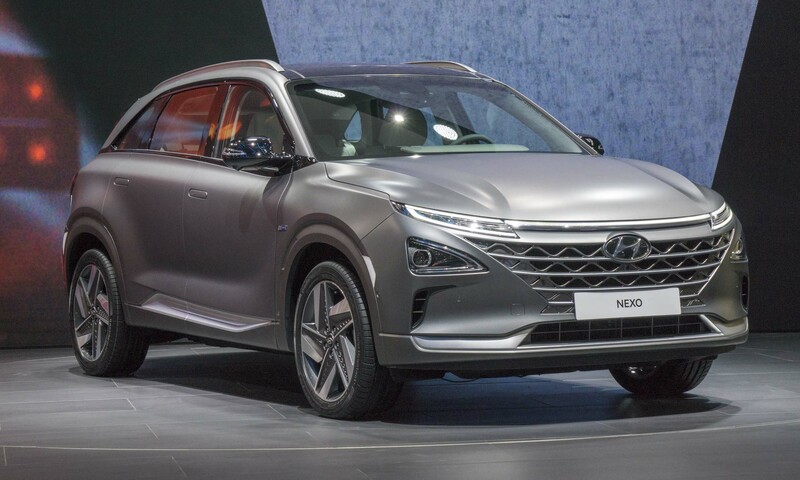 The 2019 Nexo arrives later this year, debuting the fourth generation of Hyundai’s hydrogen fuel-cell technology — more refined, viable and irrelevant than ever. But we hate to type that last adjective. 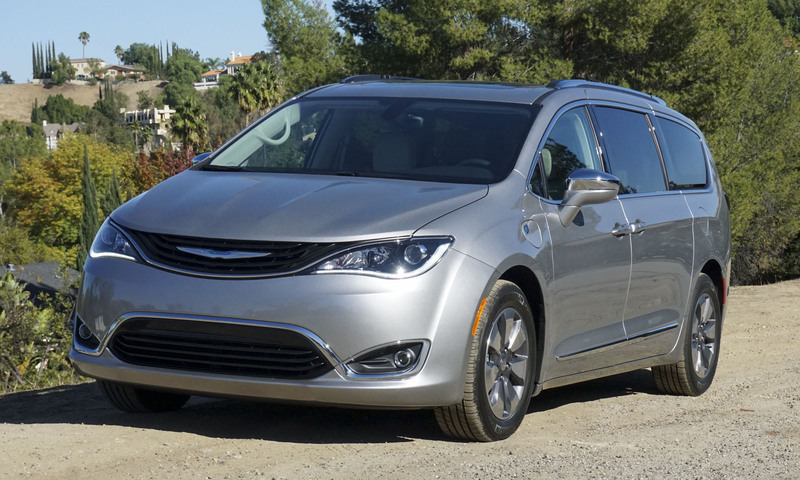 It’s 370-mile range beats Honda’s Clarity, and edges out all EVs as well. What holds the Nexo and other fuel-cell vehicles back is a lack of infrastructure: it will only be offered in California, where there are currently only about 100 hydrogen refueling stations. The investments required to give hydrogen even an outside shot at becoming a player are slim to none. And yet, with vehicles like the 2019 Nexo, they continue to get better.